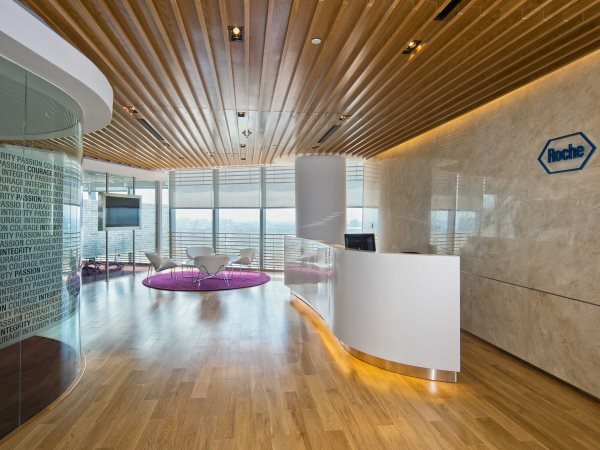 REIC - Hoffmann La Roche Vietnam, a recognised pharmaceutical company, occupies 1,100sqm of the iconic Bitexco Tower of Ho Chi Minh City, and sought world-class architecture and interior design firm dwp with the interior design and build of their offices. 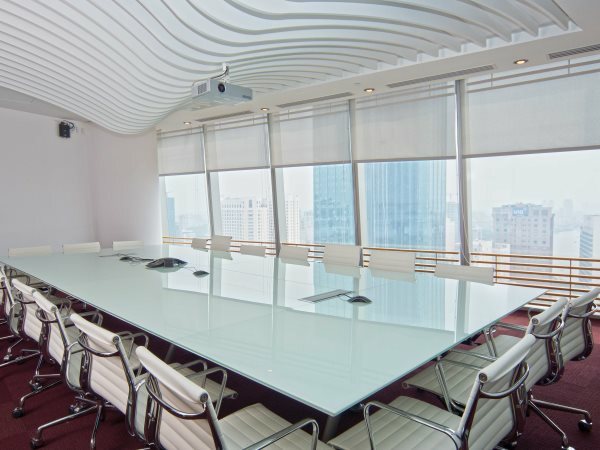 The brief included the design of a reception, 5 meeting rooms, a town hall meeting room for 130 people, the open office area for about 65 people, hot desk areas, a boardroom, 10 private offices library, IT rooms, filing and storage. With the client wanting to avoid the usual 'clinical' healthcare look, dwp's approach was to create a look and feel that focused on the health and wellbeing of employees. 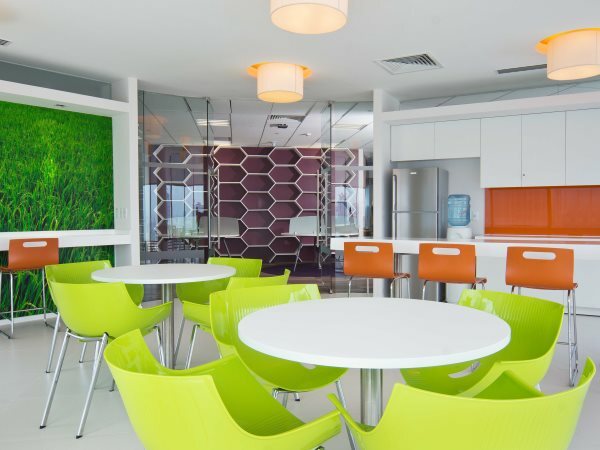 This was achieved using natural materials and colours, combined with green zones, incorporated into an open-plan office area. 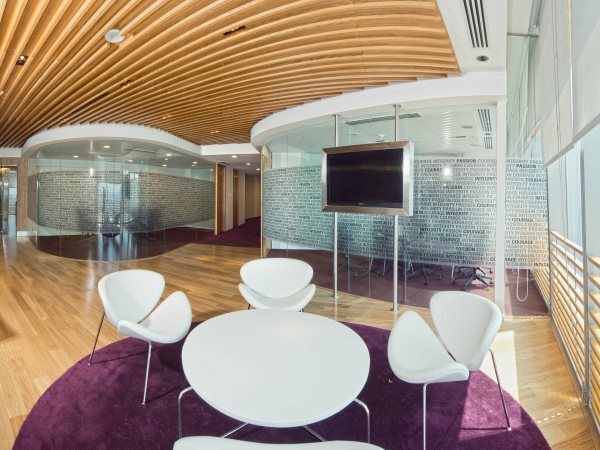 Among other outstanding features, the reception area design boasts a custom-made timber ceiling, further enhancing the natural look. In addition, planterboxes were installed in the open office space, as part of the design of printing benches and hot desks.